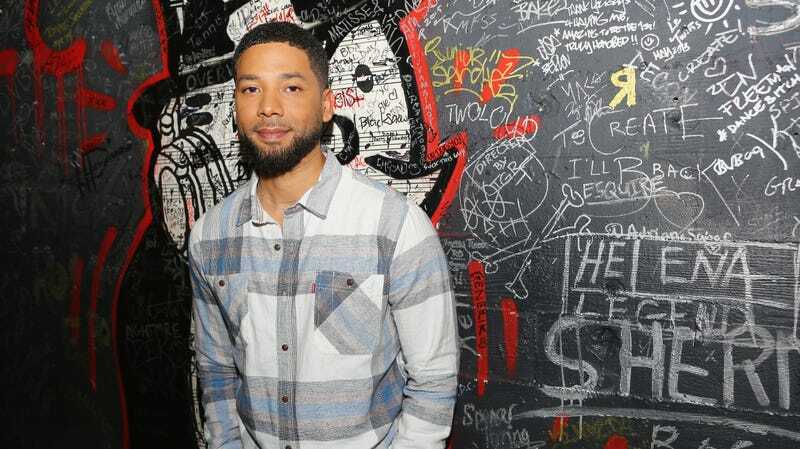 Jussie Smollett speaks out after attack: “My body is strong but my soul is stronger"
Yesterday, the family of Jussie Smollett spoke out after two men assaulted the Empire actor in a racist, homophobic attack. Calling him “a warrior whose light cannot be dimmed,” his parents and siblings used the opportunity to decry all hate-motivated attacks on marginalized communities as “inhumane acts of domestic terrorism.” Today, Smollett himself has emerged with a statement of his own. As my family stated, these types of cowardly attacks are happening to my sisters, brothers and non-gender conforming siblings daily. I am not and should not be looked upon as an isolated incident. We will talk soon and I will address all details of this horrific incident, but I need a moment to process. Most importantly, during times of trauma, grief and pain, there is still a responsibility to lead with love. It’s all I know. And that can’t be kicked out of me. The Chicago Police Department is currently investigating Smollett’s attack as a hate crime. CPD spokesperson Anthony Guglielmi has said that, by Smollett’s account, the actor was taunted with homophobic slurs and cries of “MAGA country.” Smollett also claims he was doused with an unknown chemical before one of the individuals wrapped the rope around his neck. Jussie Smollett&apos;s family issues statement on attack: "Jussie is a warrior whose light cannot be dimmed"